Have tu read all the books? la elección de los fans: Yes - I'm the ultimate redwall fan! What type of animal did tu find the funniest? What is your favorito! book in the Redwall series? 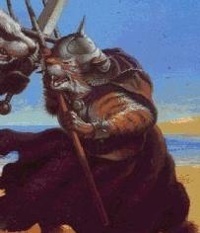 What kind of animal would tu be in a redwall book? In memory of Brian Jacques tell us about your favorito! Redwall memory. I was furious. My ship was gone. All gone! Burned to a bloody crisp por that fox…Skalrag. I ranted and raved and threatened him. All the while, he just stood there with an expression of fear plastered across his goofy face. How would he like it if someone burned up his ship? It was sad and the música was so cool! It's about the siguiente story of Redwall. Brian Jacques autor of Redwall libros is publishing a new book! buscar online and check how much he has written! If tu are a true Redwall Series fan...you will fight around the bookstore just to get this awesome story! Just to let tu all know...Doomwyte is pronounce as "doom white"
So that way tu won't make a mistake in the biblioteca when tu look for the book! a comment was made to the poll: What kind of animal would tu be in a redwall book? a comment was made to the poll: What is your favorito! book in the Redwall series? a comment was made to the poll: Do tu prefer the books, o the cartoons? How was Ungatt Trunn killed?